It looks like Apple employees should be keeping their top-secret, next-generation iPhones out of bars. In a post simply titled "This is Apple's next iPhone," tech blog Gizmodo on Monday showed video of a phone they say is almost certainly a version of the smartphone due to be released this summer. The phone was found in a bar in Redwood City, California, about 20 miles from Apple's headquarters in Cupertino, according to the post by Gizmodo's Jason Chen with reporting help from several other staffers. "We're as skeptical - if not more - than all of you. We get false tips all the time," the post read. "But after playing with it for about a week - the overall quality feels exactly like a finished final Apple phone - and disassembling this unit, there is so much evidence stacked in its favor, that there's very little possibility that it's a fake." According to the post, the phone had been camouflaged to look like a currently available iPhone. 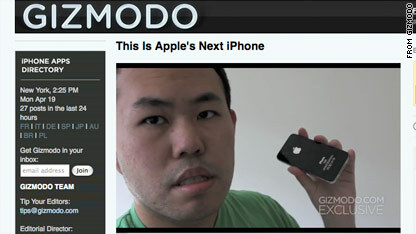 Gizmodo obviously wasn't offering too many details about how they got their hands on the phone. But in the post, Chen wrote that the person who found it was able to run Apple's new iPhone 4.0 operating system before that system was officially announced last week. Apple remotely killed the phone's operating system before Gizmodo got their hands on it, he wrote. The find was being widely considered the real deal in the tech world. 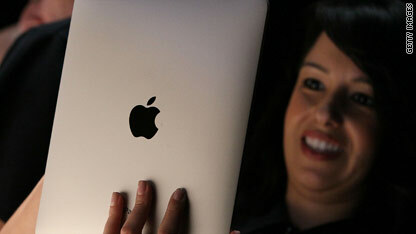 "At this point we’re pretty much certain it is this summer’s new model," wrote Wired magazine. "Somebody at Apple is in big trouble." Tech blog Engadget posted photos Saturday from a tipster showing a phone similar to the one Gizmodo displayed. Twitter has more than 105 million registered users, co-founder Biz Stone said Wednesday. The announcement, at the micro-blogging site's Chirp conference for developers, marked the first time Twitter has announced it number of accounts. The tally - 105,779,710, to be exact - is significantly more than outside analysts had estimated. 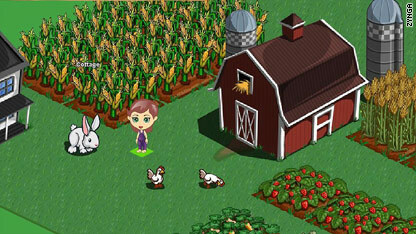 The company also says it's adding 300,000 accounts per day, with much of its growth coming outside the United States. The number, of course, doesn't address how many of those accounts are active. It comes after months of outside speculation that the number of monthly visitor to Twitter's main page had peaked - after astronomical growth in early 2009. Web analytics company Compete estimates that Twitter's number of unique monthly visitors has stayed roughly the same since June 2009. But on Wednesday, Stone said most of Twitter's daily traffic comes from third-party applications, which often don't require a stop by the site's main page (which nevertheless got a makeover last week). 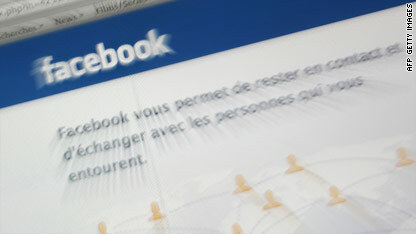 As Mashable's Adam Ostrow notes in a blog post from the conference, the number still pales in comparison to social-networking giant Facebook's more than 400 million registered accounts. But it's closer than most observers would have guessed, which bodes well for Twitter a day after it rolled out an advertising plan that it hopes will turn the much-talked-about site into an actual moneymaker. Surprise, surprise - an app from Web browser company Opera that promises faster surfing in the iPhone and iPod Touch was approved for the Apple store Tuesday, the Norwegian company said. The free app, which Opera says will cruise the Web up to six times faster than Apple's Safari browser, is expected to be available later today or Wednesday. The announcement comes after speculation over whether Apple would sign off on the app. The company has taken a hard line on denying outside applications that compete with Apple-created software already on the iPhone. Opera, which had challenged Apple by launching a months-long publicity blitz before even submitting the app, maintains its browser has strengths different enough from Safari to justify its addition to the Apple Store. "We are delighted to offer iPhone and iPod Touch users a great browsing experience with the Opera Mini app," said Lars Boilesen, CEO of Opera Software. “This app is another step toward Opera's goal of bringing the Web to more people in more places." Opera says its browser moves faster by compressing roughly 90 percent of data on a Web page before rendering it. While that doesn't work well for complicated online functions, it makes simply reading Web pages quicker, Opera says. 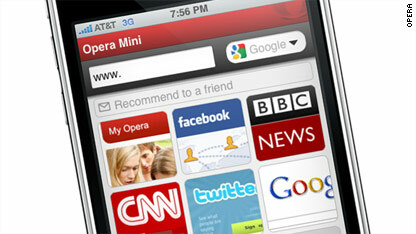 In the smartphone market, Opera was already available on BlackBerry, Windows Mobile, Palm and Android platforms. Opera Mini also runs on the Symbian platform and is huge on mobile devices, which accounts for many of its more than 50 million monthly users worldwide, according to the company. Twitter rolled out its official app for the BlackBerry on Friday, adding a specialized version of the micro-blogging site to the most popular smartphone platform. 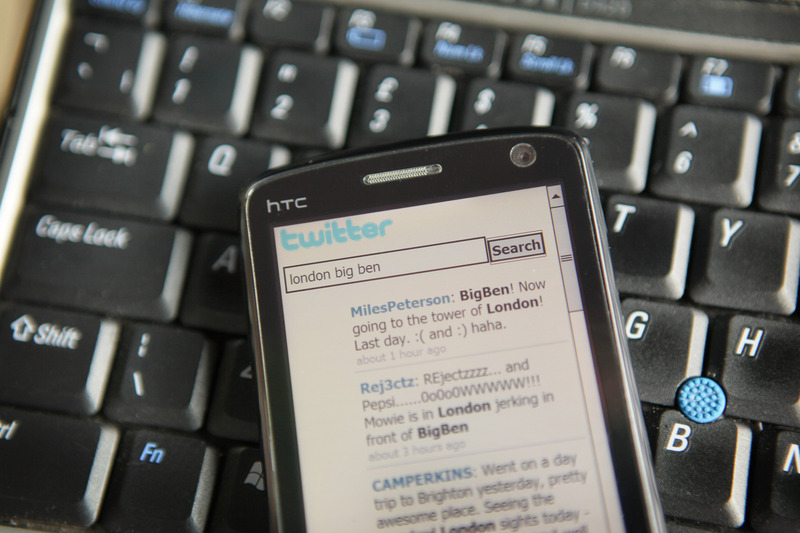 "Working closely with [BlackBerry maker] RIM to deliver the official Twitter app has been a great experience and we are looking forward to bringing more and more Twitter innovation to BlackBerry," Twitter's blog post said. 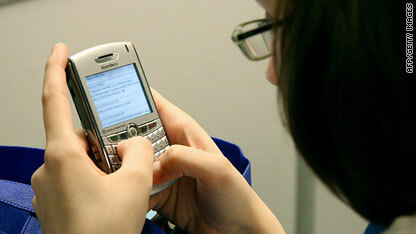 The free Twitter app was made available Friday on BlackBerry's Web site. Apple's iPhone and Google's Android phones seem to get all the buzz, but BlackBerry is still hands down the leader in the smartphone field. But do people think of them more as work tools than social-networking devices? Will you be tweeting on your BlackBerry? This week's Masters golf tournament will draw lots of casual golf fans because Tiger Woods is returning after months of news about his tawdry off-the-fairway activities. But there's one more reason they might tune in - the tourney will be offered in 3-D.
Comcast and the Augusta National Golf Club are joining to show the revered tournament in next-generation 3-D - at least for people who have TVs or computers rigged to see it. 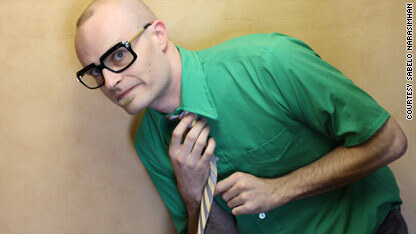 The dedicated channel will show about two hours of live programming a day, according to a Comcast blog post. "Our engineers in Comcast Labs have been testing transmission of footage from Augusta National over the past few weeks and I can tell you that it's nothing short of spectacular," Derek Harrar, a Comcast vice president, said in the post. Sony and IBM will be working with Comcast to make the broadcast possible. 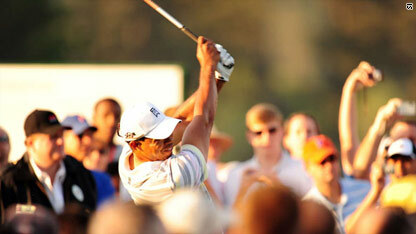 The broadcast is part of a trend of sporting events embracing the growing 3-D boom. ESPN has announced that they'll broadcast the 2011 BCS National Champship game, World Cup soccer and other events in 3-D. The network's first 3-D sports event will be the World Cup match between Mexico and South Africa on June 11. Companies like Sony, Samsung and Panasonic have begun producing 3-D television. While the technology is still emerging, the companies are hoping that programming like the Masters will help drive sales of the TVs.